How cute are these meerkats? 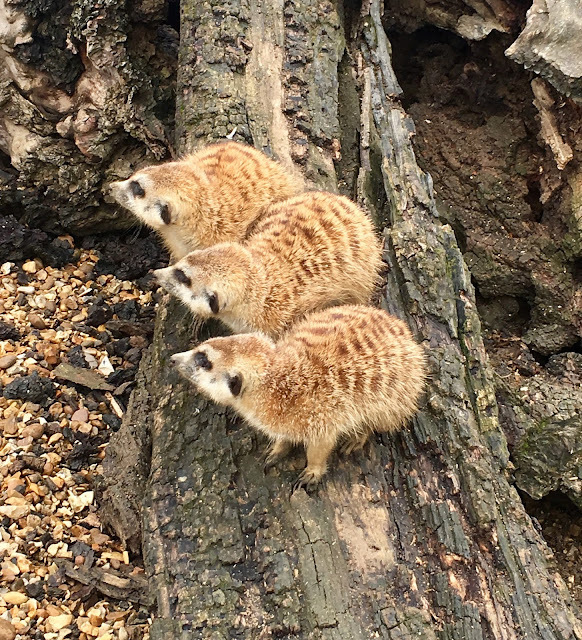 We spotted them on a recent visit to Hamerton Zoo Park in Cambridgeshire and loved how their little heads were all turned the same way. It took us a while to realise they were fascinated by my youngest son's frog umbrella and as he was walking round their enclosure, hey were following his every move. 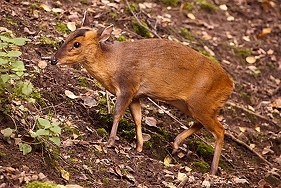 One of them even ran over to where he was standing to get a better look! I'll be doing a full review of this fabulous little animal park soon but I could not resist sharing this super-cool picture of these popular little furries. Disclaimer: we visited Hamerton Zoo Park free so we can share out honest opinion of the attraction.